Last week my whole entire department at work headed off to the pubs and bars in our local town to have a few goodbye drinks. I had not eaten since the night before and was very hungry. I needed some food in me to justify the midday drinking session I was about to be a part of which was to last hours. I have only ever been into The Fat Cat (which is often called Fat Cats) at night for drinks. So I was quite happy to know they served food and it was not the usual pub grub. Slightly pricier and more upmarket. My friend assured me that the food would be quality. I was pleasantly surprised and grateful. My only confusion is that my initial waitress wandered off after my table said we needed a few minutes and than was replaced by a waiter. Not a problem really just thought that was a bit odd. Now I am very cautious about ordering foods in stranger unknown to me places or unusual choices, when I go out to eat. 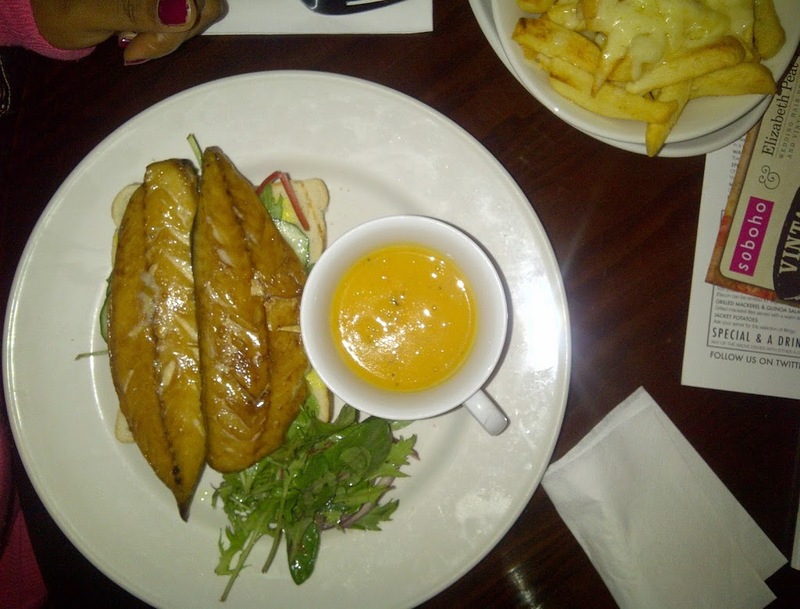 Once my waiter confirmed that the fish was boneless (within reason – yes they had a mini disclaimer) I decided to try the Mackerel on toast which came with a free cup of soup. I have no idea what soup it was as I went from thinking it was Lentils to Butternut squash. Who knows but the little soup was an ok free edition. The Mackerel tasted so lovely. It was moist and delicious and the toast which had some fancy salad was an added bonus. I did not care for the fancy salad. Pretty to look at but awful to eat. That being my only complaint, which is a minor. My meal was finished off with a side of chips and cheese. Over at the Friary more food and drink consumed. My friend ordered Bangers and Mash. 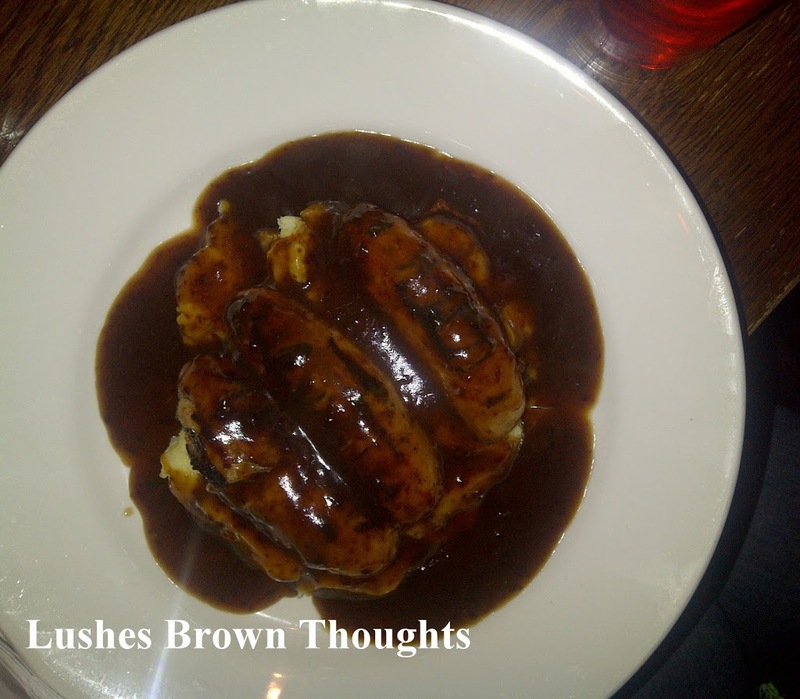 I had never seen bangers and mash served up that way. The potatoes on the bottom top with big juicy sausages and smothered in gravy. It looked so yummy. If I was a pork eater I would have wanted a taste. Myself ordered a light snack of cheesy nachos with all the trimmings. 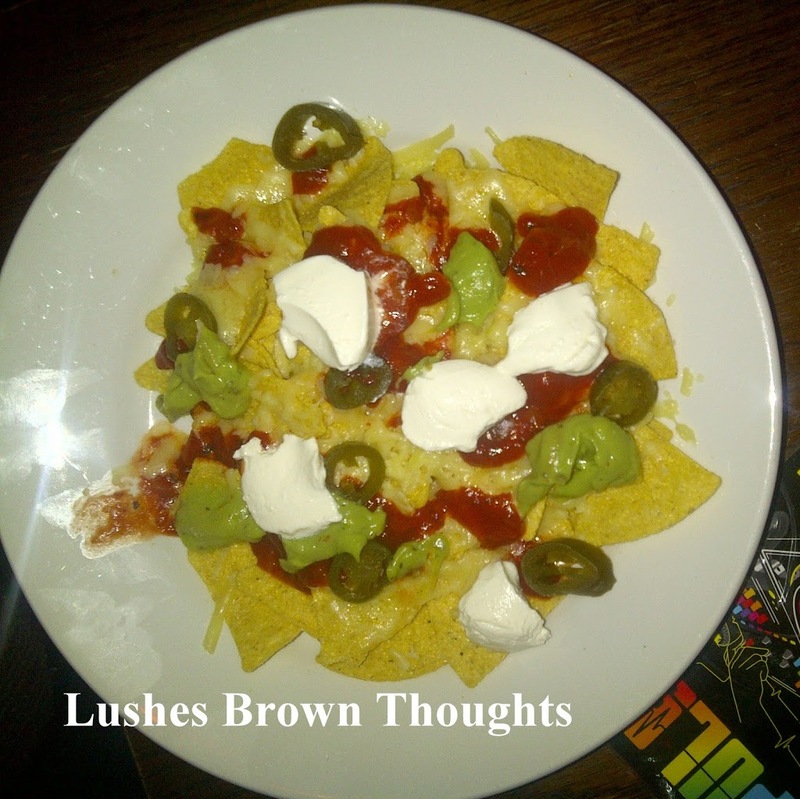 Disappointed I did not get a pic of my other friends Nachos as she ordered the ones with Chilli con carne type of topping. It so reminded me of my childhood overseas and Chilli Cheese Fritos. My drink at the Friary was something else. I stepped out the box and copied my friend. These days I tend to stick to wine or brandy. 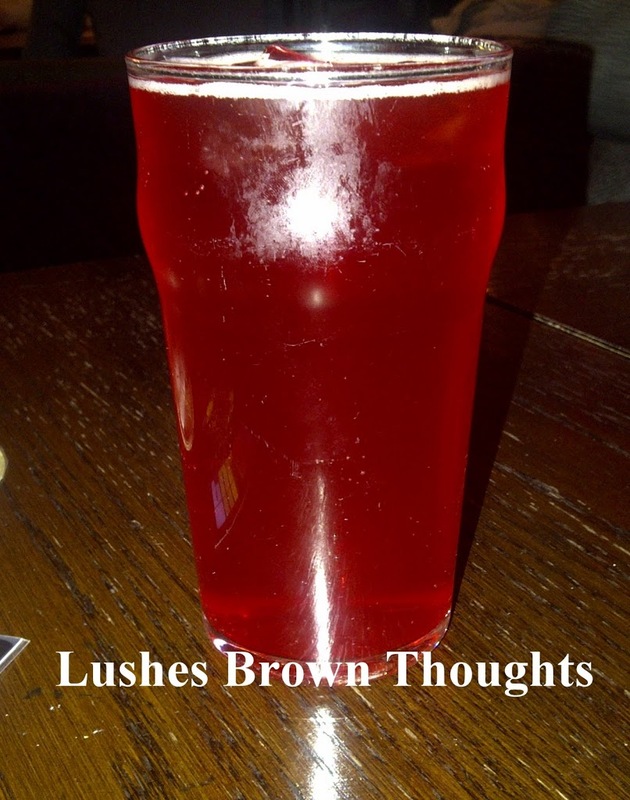 This pinky purple concoction I was rod was on draught and was a mixture of fruity ciders toffee apple, ginger and a few more I cant remember. It was not too sweet and lasted a long time.